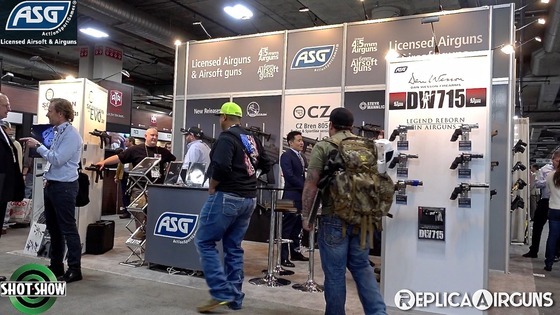 Another SHOT Show 2017 interview video, this interview is with Bob Li from ASG (Action Sport Games), Bob shares with me some updates to the super popular Dan Wesson 715 along with the reintroduced EVO Scorpion Inferno powered Airsoft Rifle. 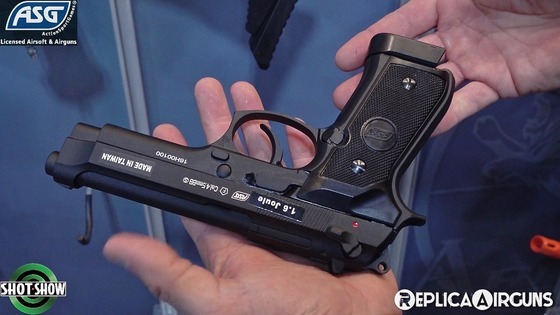 Bob finishes up with a new X9 Classic which is a Beretta M9 in 4.5mm Steel BB. 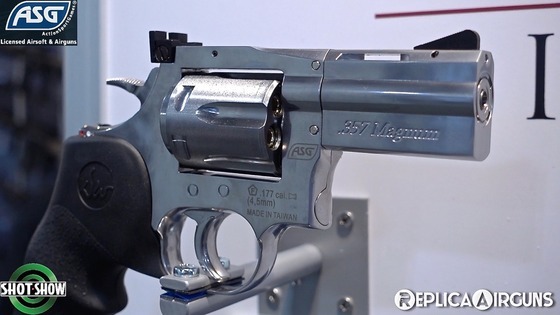 You may have thought the Dan Wesson 715 was already pretty much perfect as is so what could ASG to make it even better? How about different barrel lengths. 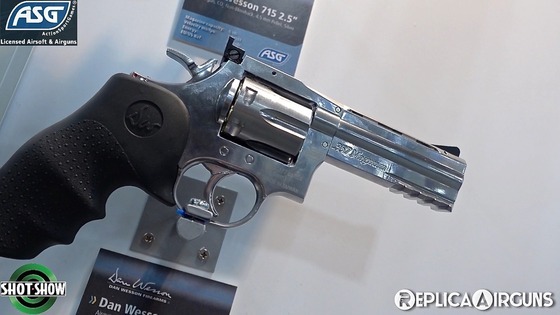 ASG has introduce the Dan Wesson 715 in both a new 2.5 inch and 4 inch version. Both lengths will be hitting stores shortly and will come in .177 caliber pellet and 4.5mm steel BB options. 6mm Airsoft will be out later on. The 4 inch version also includes an integrated accessory rail machined into the outer barrel for those of you wanted to add items like lasers and tactical lights to your Dan Wesson 715. Last year at SHOT Show ASG introduced the EVO CZ Scorpion 3 A1 Inferno powered Airsoft Rifle but is again reintroducing it this year since they decided to take their time and get it perfect before releasing it in stores this March. The EVO CZ Scorpion 3 A1 is Inferno powered using an HPA system with a custom chip set that allows for a three round burst option an empty magazine detection. ASG has sourced out not just any 4.5mm Steel BB shooting M9, they are actually getting their new ASG X9 Classic built by KJWorks. KJWorks is known for their Airsoft guns and I have reviewed several of them to date. If you have been looking for a KJWorks M9 but would prefer it to be in 4.5mm Steel BB then the new X9 Classic 4.5mm Steel BB KJWorks M9 exclusive to ASG is where you can get one!